We live in a Universe that is Creative by Nature, meaning that it is constantly changing, evolving and creating new things. Each human being is a unique expression of that creativity, and participates in the Life of the Cosmos in at least four ways- as physical, experiential, learning and socio-cultural beings. Physical Creativity – Our first creative “act” is the part we play in bringing about (and maintaining) our physical existence here as current expressions of the great dance of life and evolution in our solar system. For “you”and “I” as individuals this began with the merging of ancestral DNA from our parents. Guided by the successful experiments of evolution over the past billion years, each living being self-constructs a physical body built up of the “star dust” of our galaxy. In many cultures, this is recognized as a kind of miracle, as there has never been (and never will be) another exact replica of “you” in the history of the Cosmos. As a self-organizing self-constructing living system your physical form is interdependently connected with the rest of the natural world, but is also something we’ve each constructed (and need to maintain the healthy functioning of) for the span of our life time. From the perspective of science, we are solar beings animated by the energy of the sun, with complex brains that allow consciousness to interact with the world, weaving sensory input into a localized subjective experience. Each sentient being is a unique focal point of awareness in the life of our Universe. Most people either ignore this or take it for granted, not realizing how precious life and consciousness is, and how our brains and five senses creatively generate that experience for us every moment of our lives. Spiritual practices such as meditation, prayer, mindfulness, yoga and tai chi can help people to become more aware and grounded in this miracle of our sensory experience, help us to move more in synch with the flow of the Universe. Learning Creativity – A third way we are creative is how we utilize our minds to help us learn about the world, to grow and develop knowledge and skills over time. Just as we “grow” our bodies, we also have the potential to self-construct a wide range of abilities. Since infancy, our brains have enabled us to develop complex skills and knowledge, as we interacted directly with our environments. Your ability to walk, dance, cook, ride a bicycle, speak and read a specific language or play a musical instrument is something you created from scratch, through long term practice, observation, and engagement with your local world. For most creatures on our planet specific skills are “instinctively” wired in, because of the survival advantage. A baby elephant will walk in just a few hours, a bee does not have to be taught how to fly. Human beings also have a wide range of instinctual potentials, but most of our complex skills and understandings need to be constructed by us after being born- through mindful observation, imitation, practice, experience and interaction with human beings and objects in the world that surround us. 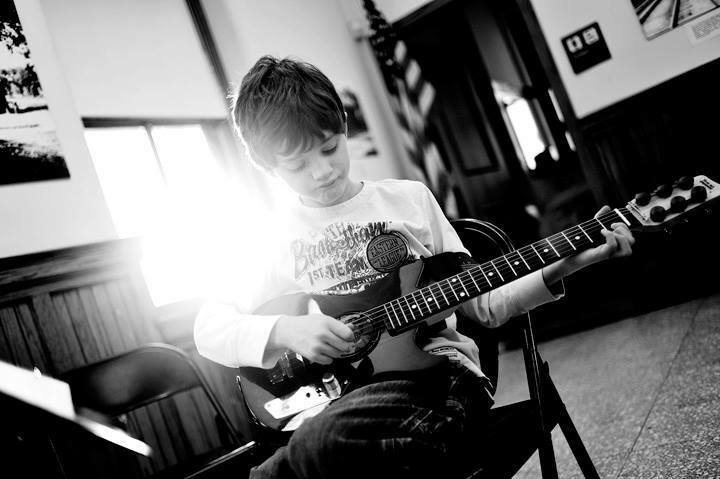 It’s a highly creative and self-directed process, that children are naturally motivated to engage in. We come into the world with an innate curiosity and love of learning, which (when supported and encouraged by our environment) motivates us to master progressively complex abilities in language, art, music, science, athletics, crafts and other areas that interest us. Socio-cultural Creativity – Finally, the forth way living beings are creative (and how we normally think about creativity) is what we “make” by ourselves (and in collaboration with others), as we master and develop our skills. Bees make hives, beavers build dams, birds construct nests. 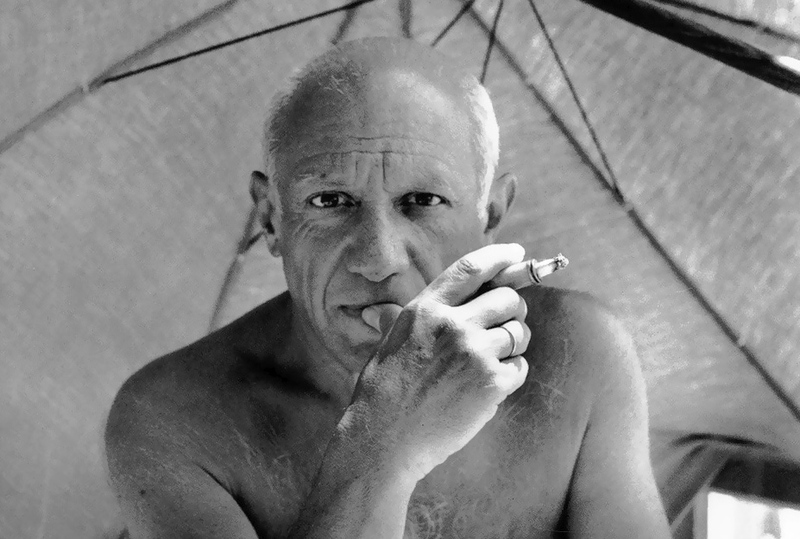 Creativity is not a characteristic of famous artists only. We live in a Creative Universe and are involved in creative activities every moment of our lives. Understanding this more deeply, and teaching this to our children, could lead to a global renaissance of innovation and creative transformation on our planet. In our current age, most people don’t realize how creative they already are (and have the potential to be). Our cultures celebrate creative productions, not the creative process or each beings creative potential. We put individual artists, writers, musicians, sages and scientists up on a pedestal, but do not pay attention to the endless facets of creativity that we all take part in, and that make our lives on this planet possible. Civilization’s emphasis on measurement, achievement, rank, status and “results” (instead of relationships and process) has created endless problems for modern people. 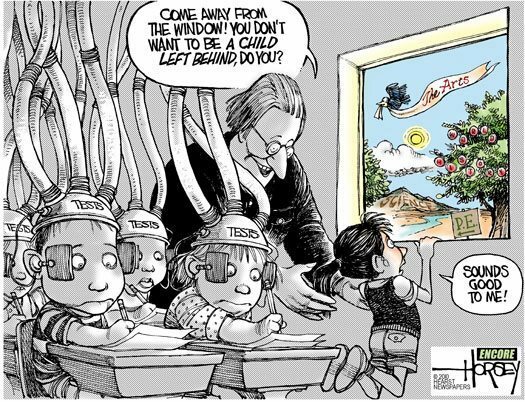 Most of the worlds “leading” educational systems put so much attention on test scores and the memorization of disconnected bits of information that they ignore the freedom, curiosity and love of learning that children are born with (and need to maintain) to creatively develop their skills. 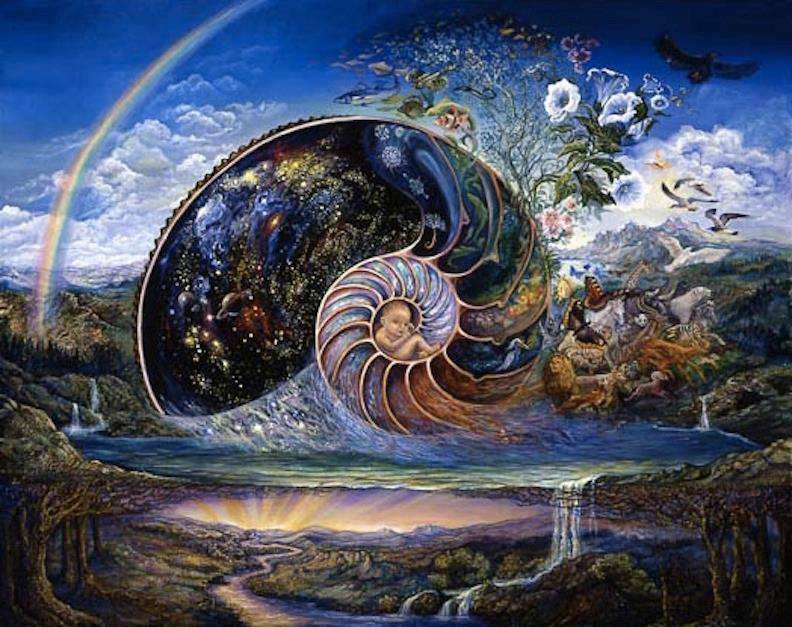 Most educational systems also ignore the essential role of the human imagination in learning, how wisdom grows as we develop coherent understandings of how everything in our world is interconnected and fits together as a unified whole. It’s something many thoughtful writers, artists, spiritual leaders, poets, scientists and sages have warned about, down through the ages. Wars, pollution, species extinction, unstable economies, extremes of wealth and poverty, runaway consumerism, high rates of crime and suicide all point to a species out of balance- and out of touch- with their ability to solve problems creatively. Hopefully, that could change, as more of us become aware that we are creative by nature, that by slowing down and mindfully attending to (and honoring) the present moment, we’ll be able to solve most of our problems. There’s nothing in the future we need rush towards, all the answers we seek can be found right here, right now, as we become more conscious and mindful of how we are already participating in a universal symphony of innovative activity, every moment of our lives. This entry was posted in Uncategorized and tagged Art, christopher chase, creative by nature, creative systems thinking, creative universe, learner-centered education, mindfulness, nature's paradigm, zen. Bookmark the permalink. 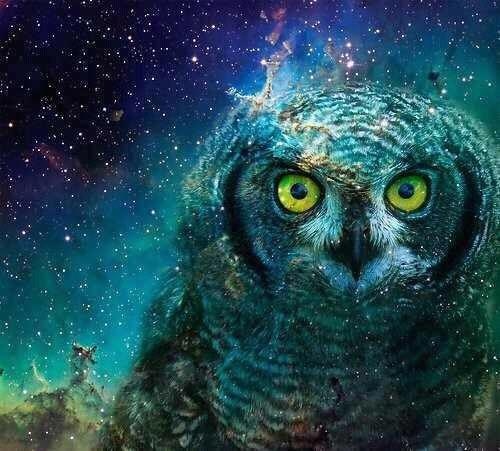 you do not credit the artist of the cosmic owl painting. do you know who created that? No, I do not, its brilliant yes! If I find out I will add the info.